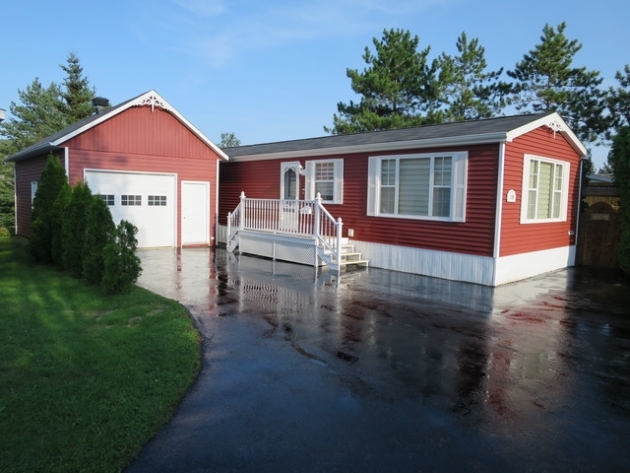 Magnificent mini home located along the Madawaska river. Large patio with a 18' above ground pool with private backyard. Very nice place to rest. The interior is tastefully decorated, with open air concept style. You will enjoy the warmth of the pellet stove in the living room. Insulated garage with heat pump. This property is also pre-inspected. A lot of potential! You will fall in love with this one!